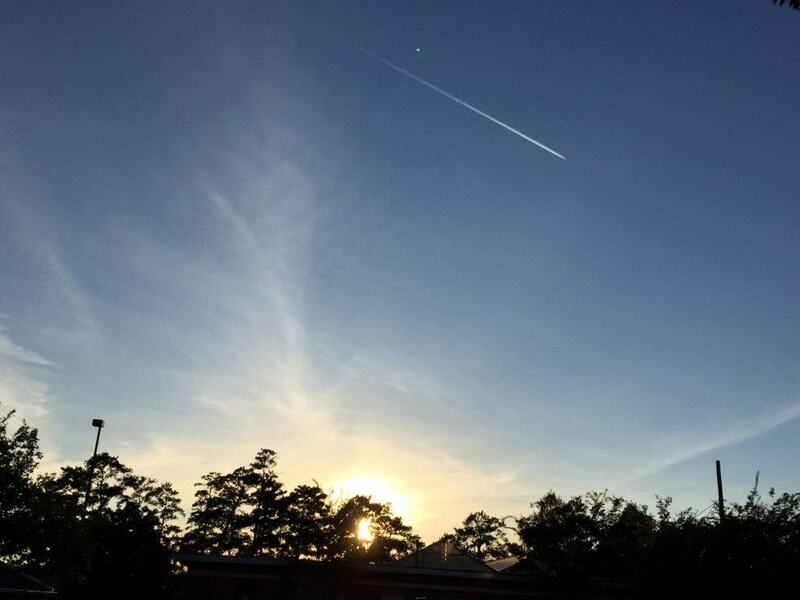 Alabama is full of various kinds of scenery that not everybody gets to explore. RV spots here cover beaches, forests, mountains, caves, and even some of the biggest football fans. 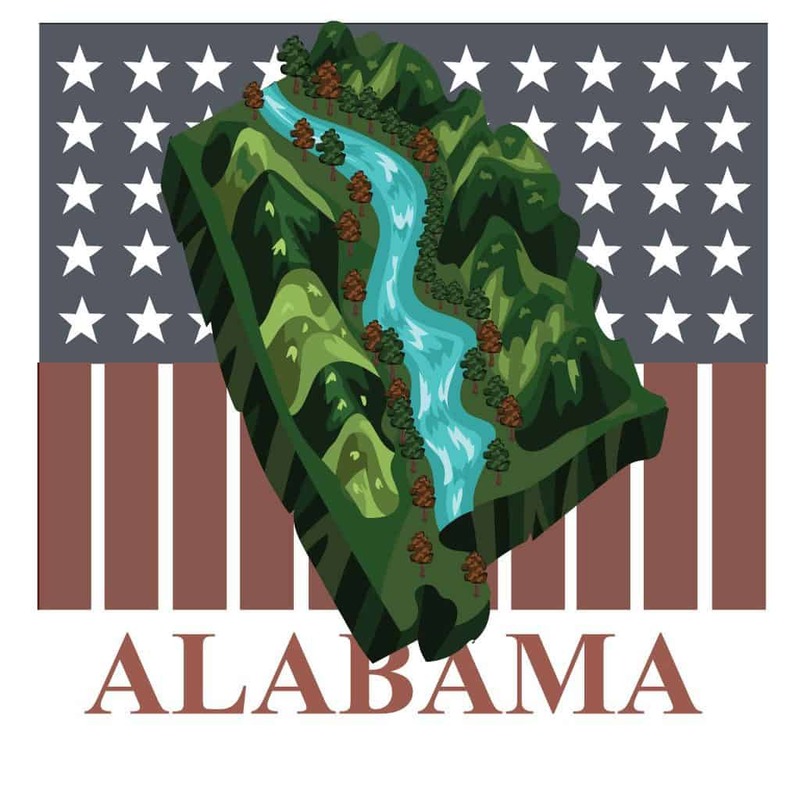 I want to share with you my top picks for parking your RV is Alabama. There is plenty to see here in Alabama. Tons of different terrains and places to choose from. 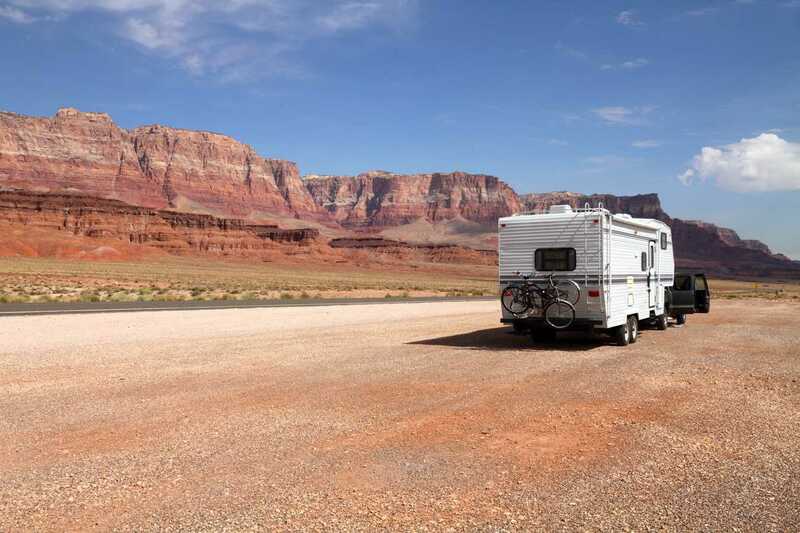 If you are ever passing through the state in your RV, come take a look at what this great state has to offer. 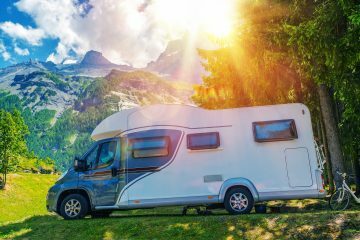 If you are looking for places to park your RV with full hookup to have the most relaxing and modern experience, then look no further than these six parks! 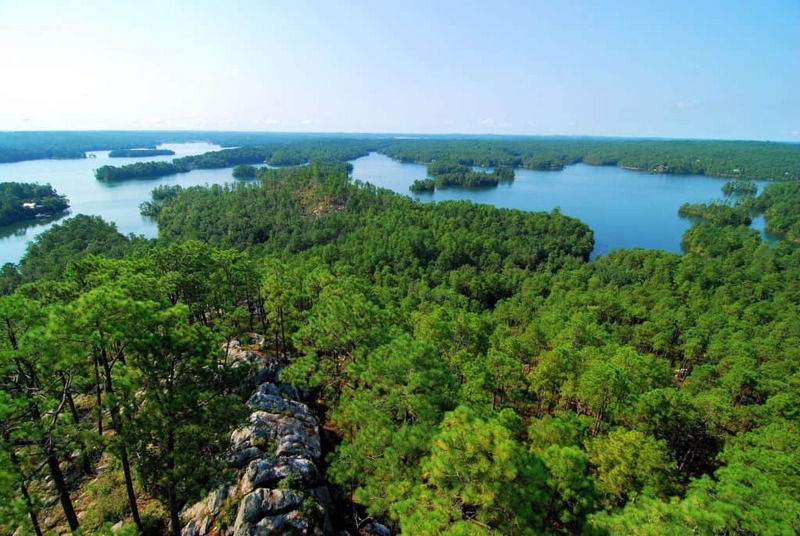 Island Retreat RV Park is arguably the most expensive place to park your RV in Alabama, but it comes with great perks and a breathtaking view. They have full hookup and back-in/pull-through options available to you. 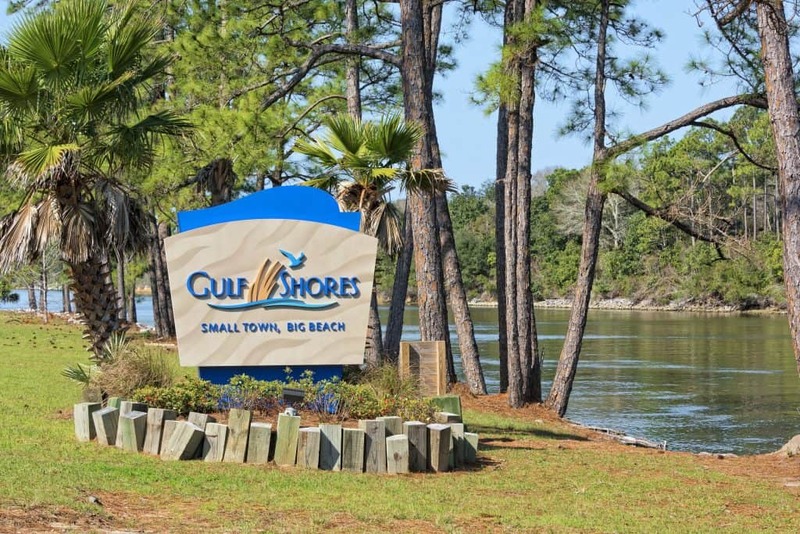 A long stretch of sand on the Gulf shore with gorgeous emerald blue water will be your view while you are here. Besides the beautiful view, there are plenty of activities and variety to spice up your experience. During the summer months, there are plenty of things available to you for use. They have a pool to soak yourself in if you fancy that. At night, there are campfires available to roast marshmallows or even make yourself a grilled dinner. This park is also close to many restaurants and grocery stores for any needs that you have. If you are looking for some time away from your RV, there are plenty of activities, festivals and concert venues close by. Go check out the Gulf Coast Escape Room or the Vinyl Music Hall. I personally love music so concerts and music halls are right up my alley. Island Retreat is welcoming to all kinds of RVs. The sites are big enough for slides outs of even bigger rigs. There are also walking paths and biking trail for those of you are want to get a little exercise in the morning or whenever. I personally really appreciate when RV parks have biking trails. Biking does well for the soul. If you plan on coming back, they have storage places to put your boat and equipment. For a week it is $25 or you can do a monthly fee of $50. Overall this is the ultimate place for ocean city RV living. If being out on the beach but close to town is your thing, then I would highly suggest taking a closer look at Island Retreat. Chewacla State Park is a wonderful place to go if you really enjoy the sight of trees around a lake. If you would rather get away from the city, this is the place to go! There are only 36 camping sites for RVs so I would recommend calling about 4 to 5 months in advance. They have special prices and times for the Auburn Home Football Games and reservations for those are set on a special day. This place is toned down compared to the last one. This park is a place to pull out your hammock and read a book. One of the perks of Chewacla State Park is the fishing that is open to you. Bass, crappie, bream and even catfish are available to you at this park. Fishing is such a relaxing way to spend the weekend and I highly recommend it. You can only use small non-motorized boats here. Canoes and kayak are welcomed as well. Hiking is also another attraction here. Sweet Shrub Trail is a great hiking spot. 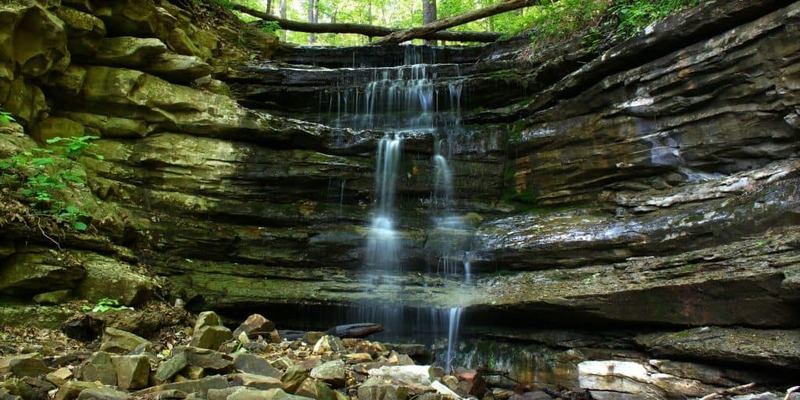 There are a couple of trails that will lead you to some really neat waterfalls. There is also mountain biking trails you can try out. Overall this is a really great getaway from the big city lights and a relaxing weekend on the lake. The University Station RV Resort is a unique RV site. 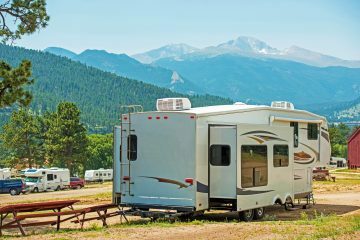 Generally, RV parks are for the beach or next to a lake or any attraction really. This place is the ultimate package when it comes to tailgating. This place is unique because it opens up two weeks before the Auburn University Football season begins. The purpose of this place is to create the ultimate tailgating and football experience during the season. Pretty neat right? Obviously, this is catered toward the fans of this school but there are some cool things about this place. 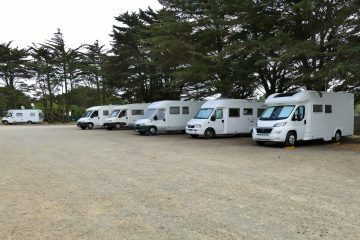 It is one of the biggest RV parks in the southeast at over 600 RV site. The Resort used to hold an annual bluegrass festival that starts on Memorial Day and went for seven days. During the summer you can stay here and explore the surrounding area with your family/friends. There is a clubhouse that is available for lease when not in football season. Overall this place is very modern in its approach. Even if you are not into football this is a great place to come and visit the area around with plenty of things to do. Little River RV Park is a smaller park at 26 sites. It is a nice getaway from the city once again. They offer full hookup and have some pull thru sites. There are a few little things that they offer like Wi-Fi and Cable. 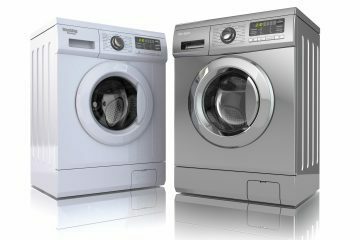 Little River has showers and laundry rooms at your disposal if you need them. There is hiking to do around here as well as a fishing pond. To keep the kids busy, there is a playground and a campground for them to run around. The site is friendly to pets so long as they have a leash on. 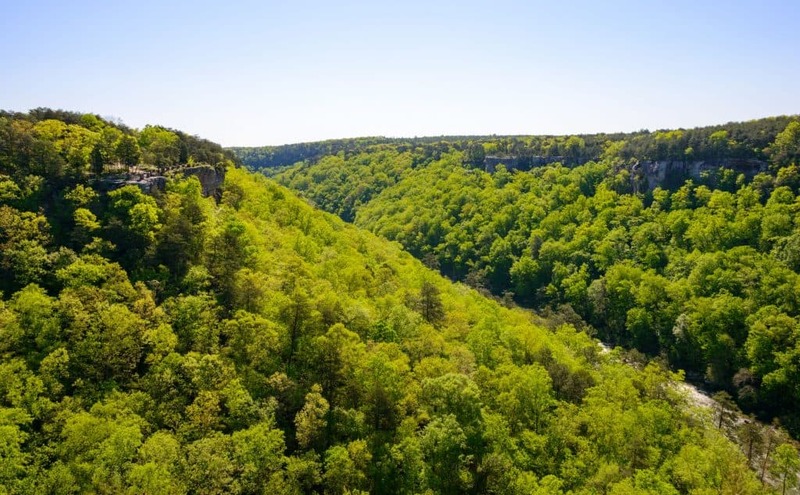 I think the best part about this RV site is the Little River Canyon National Preserve. There is a breathtaking waterfall here that you cannot miss. I am a huge sucker for waterfalls and I love this one. You can do kayaking and canoeing trips here as well. This is a great spot if that is your thing. Little River is a nice, quieter place for you to go to. It does not have as much to offer but the falls and the kayaking/canoeing are worth it. What can I say about Gulf State Park? If you love the beach, why have you not gone here? This place is so amazing! Get ready to sink your toes into sun-kissed sand and find some seashells! About 1.5 miles away from the white sandy beach is the RV campgrounds. There are 496 recently improved, full hookup sites for you to choose from. Besides the already obvious beautiful beaches, there are plenty of things to do around the RV campsite. They have a swimming pool with a splash pad, volleyball, and tennis. There are bathhouses. There is hiking here. One of the best things here is the Nature Center which has different activities all the time. This is great for some family fun while at the beach. One of the largest state-owned campgrounds is Wind Creek State Park. There are acres of land that connect to the shoreline the grand Lake Martin. This place is a huge site for fishers. Crappie and striped bass are just a couple of the fish that you will find here. There are several fishing tournaments that happen each year. These are really great events to watch or be a part of. 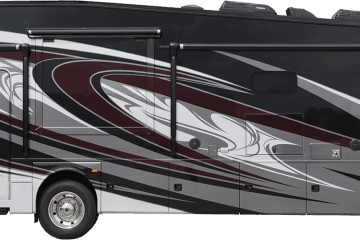 There is the full hookup for your RV along with TV access. There are plenty of sites to choose from. There is a three night minimum for most times of the year. Besides fishing, there is plenty of hiking. You can head into the city for some grub and some nightlife as well. The Smith Mountain Observation Tower is something you gotta check out! 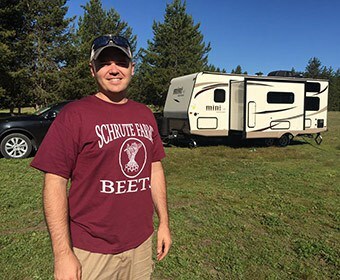 If you are a fan of RVs but want to have a more primitive camping experience, I have six great choices for you right here. These are available for an off-grid living for however long you like. 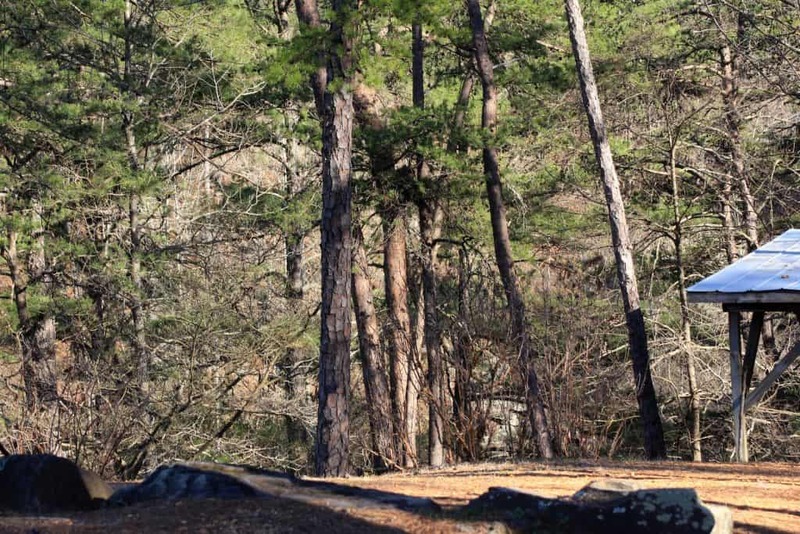 Oak Mountain is one of the coolest State Parks with off the grid availability. It was established in 1927 with 940 acres. It now has expanded to 9,940 acres! With that comes a variety of things to do while you are here. The landscape here is quite the spectacle. The two most popular things to do here are mountain biking and hiking. There are more than 50 miles of trails to choose from. There are day trips and overnight camping trips. The Red Trail is listed on the Mountain Biking Association’s list of EPIC rides. Other extreme adrenaline rush experiences like cable skiing are here too. You can rent boats here as well. There is an 18-hole golf course, driving range, beach, fishing, picnic areas, swimming, etc. You can take your family to see the farm and horseback riding demonstrations. Desoto State Park is a wonderful getaway to mountains and waterfalls. There are plenty of wildflowers to look at here. This place has so many things to offer from the various hikes to mountain biking. Rappelling, bouldering, fishing, and kayaking are all offered here. I recommend this place if you are an outdoor sportsperson. There is a Civilian Conservation Corps Museum here about the people who came before and made natural enhancements to the area. One of my favorite things is the Desoto Caverns. They have a lot to see and they have a laser light show in the caves! How awesome is that?! I highly recommend giving this place a look see. I love the outdoors and I want you to enjoy this place. Lake Lurleen is a huge 250-acre attraction at the park. It is the main focal point of this beautiful state park. It goes pretty deep at 48 feet depth and a mile and a half in length. You can take your boat out here or even rent a boat to ride on the lake with. Fishing out here is great, too. Some of the fish you will find are largemouth bass, crappie, and even catfish! If fishing from your boat is not your thing, you can always fish from the pier they have available. The beach will give the kids some endless fun each day and when it is time to eat they can come to our of the pavilions provided for a sandwich or whatever you enjoy. There is a whole lot of trail here to hike and they range from easy to moderate. 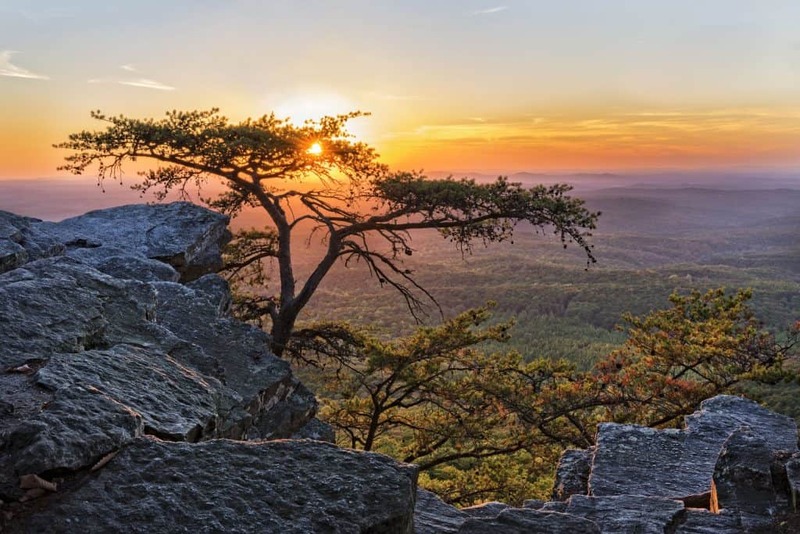 Have you ever wanted to go to the highest point in Alabama? Cheaha State Park sits at 2,407 feet above sea level. This park is located at the top of the Cheaha Mountain. If you are looking for a place that has a breathtaking of the lower land around it, this is the place. Just look up pictures of this place. It is absolutely GORGEOUS. This is the place to get away from the noise and just relax. When it is time to eat, you can visit the Vista Cliffside Restuarant for a great meal. There is a pool here that looks over the Talladega National Forest which completely surrounds the mountain. There is a lot of cultural heritage to be seen as well as hiking. You will really come to appreciate the area if you invest in all that the park has to offer. I highly recommend it. Cathedral Caverns was open to public access in the 1950s. Back then it was called Bat Cave, which is a great contender of name choice because you could make all kinds of Batman jokes. The reason why the name was changed is that the inside of the caves look like a cathedral. These caves are something else. Mother Nature does some pretty incredible stuff and this place is no slouch. The cave is the main focus of this place. There is not much else. There are plenty of places to visit that are around the area like the Marshall Space Flight Center but besides that, the cave is the main point of coming here. When I mentioned that there were other places near Cathedral Caverns, Monte Sano State Park was one of them. 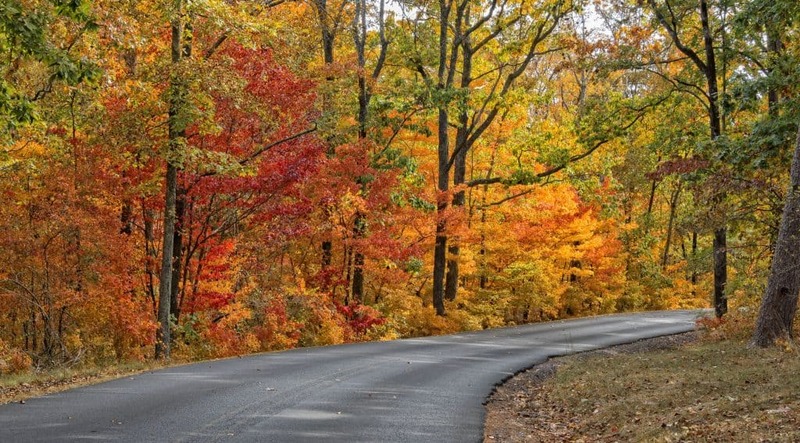 Monte Sano in Spanish means, “Mountain of Health.” Plenty of people come here to heal and recharge on a nice break from the rat race we call life. This park is much more toned down. It is a nice place to have a wedding or even a family reunion. It is quiet and the trees look so beautiful in the fall. If you want a quiet place to relax where you will not have many interruptions, this is the place. Do state parks have full hookups? Most state parks do. I have not heard of very many that do not have them. You can look at their website to find that information or even just call them. More often than not, they do. Can you camp in a national park for free? Well, if you are out in the middle of nowhere and nobody sees you then probably. If an area you are says “no camping” or “camp only in designated areas” then you know not to.